Marvin J. Slepian, MD, is Professor of Medicine, Professor and Associate Department Head of BioMedical Engineering and McGuire Scholar in the Eller College of Management, all at the University of Arizona. Dr. Slepian is the Director of the newly created Arizona Center for Accelerated Biomedical Innovation (ACABI) – a “creativity engine,” focused on novel solution development for unmet medical needs. Dr. Slepian attended Princeton (AB Biochemical Sciences and Science in Human Affairs ’77) and received his MD from the University of Cincinnati College of Medicine (’81 AOA). He completed his residency in Internal Medicine at New York University–Bellevue Hospital in New York, where he served as Chief Resident in Medicine; clinical and research fellowships in Cardiology at Johns Hopkins University School of Medicine in Baltimore, Maryland; and clinical and research fellowships in Interventional Cardiology and a research fellowship in Artificial Organs at the Cleveland Clinic in Cleveland, Ohio. In addition Dr Slepian also received post-doctoral training in Chemical Engineering and Polymer Chemistry at MIT. In parallel with his clinical career Dr. Slepian has had an extensive research career leading to the development of innovative diagnostics and therapeutics for cardiovascular diseases. His work has focused on the development and use of novel biomaterials for tissue engineering, drug delivery and medical device development. His lab has developed many novel diagnostics and therapeutics which have found their way into clinical use today including: drug-eluting stent technologies, stent coatings, “polymer paving,” surgical anti-adhesive barriers, stretchable and biodegradable electronics, synthetic tissue sealants, myocardial revascularization and cell delivery methods and cardiovascular prosthetic devices – including the total artificial heart. Dr. Slepian’s lab has also, for years, been heavily involved in basic science concentrating on three main areas: 1. the role of cell-matrix interactions in vascular disease, 2. basic aspects of cell-material interactions and 3. the impact of physical forces (notably shear and sound) on platelet activation. 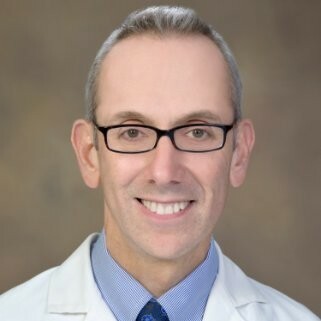 Dr Slepian is the author or coauthor of more than 250 articles, textbook chapters and abstracts, published in journals such as Science, Nature Materials, PNAS, PlosOne, Circulation, the New England Journal of Medicine, and Cardiovascular Pathology, and serves on several editorial review boards. He is a prolific inventor with more than 55 issued and filed patents and has been the founder of numerous medical device companies including FOCAL (NASDAQ), Endotex, Angiotrax, Hansen Medical (NASDAQ), Arsenal, 480 BioMedical, MC10 and SynCardia, and has been involved with bringing many new devices through the FDA regulatory process into clinical use, including most notably the total artificial heart. He has received multiple awards and recognition for his academic and translational research activities including: the American Heart Association Award for the Most Significant Advance in Cardiovascular Medicine, election as fellow of the American Institute for Medical and Biological Engineering and as fellow of the National Academy of Inventors, is the the Immediate Past President of the International Society for Mechanical Circulatory Support (ISMCS), and is President-elect of the American Society for Artificial Internal Organs (ASAIO). In 2017 he received the AZBio Pioneer Award for Lifetime Achievement in Biomedical Science Innovation.